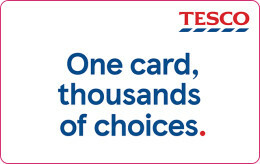 This digital gift card can be used online and in store. 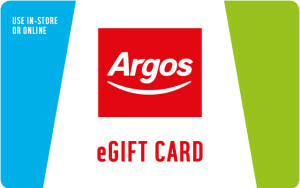 eGift Cards may be redeemed in full or part payment for goods in any UK Argos store or online at argos.co.uk, including current promotional offers, at the prevailing prices listed. eGift Cards cannot be used for purchases made over the phone. eGift Cards cannot be used for the purchase of other gift cards or vouchers. 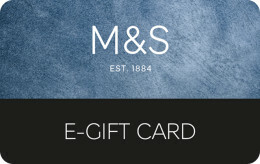 eGift Cards can only be redeemed in the UK. They cannot be redeemed in ROI. This eGift Card is not a credit, debit or cheque guarantee card, cannot be redeemed for cash or returned to Argos or Voucher Express under the Argos 30 Day Guarantee and cannot be re-sold or re-tendered. This will not affect your statutory rights. All eGift Cards hold an expiry date, please refer to the date stated on your eGift Card for further information. If this is not detailed, please use the online balance and expiry date checker in the My Account section of the website. Argos Ltd reserve the right to decline or withdraw the eGift Card at any time. Treat this eGift Card like cash, Argos Ltd cannot be held liable for lost, stolen or damaged eGift Cards and they will not be replaced. To check your balance at any time please sign into your account at www.argos.co.uk and use the balance checker provided. The number of Gift Cards or eGift Cards you can use in a single transaction for online purchases is limited to 3. If you have more that 3 Gift Cards or eGift Cards and would like to use them in a single transaction you may do this in-store. If any product purchased with an eGift Card is subsequently exchanged for product of a lower price or a refund, any money owing will be added to a new Gift Card or eGift Card. If you do not spend the entire balance an eGift Cards, the remaining balance will be available on the same eGift Card after each transaction, with the same expiry date. Argos eGift Cards cannot be exchanged for cash. eGift cards which are defaced, altered or cancelled will not be accepted in Argos stores. A British high-street favourite, Argos is that place to go for just about everything you could imagine that’ll help kit out your home, and lifestyle too. It’s no wonder that an Argos gift card is a popular choice, when the goods available can delight little ones and adults too. Hosting an ever plentiful catalogue - find a Home & Garden section that’s bursting with furniture, delightful soft furnishings, chic lighting and more for indoors - while you’ll also find everything you need to get that barbecue going, and to deck out the garden with outdoor furniture and decorations so that you can entertain all year round. Argos gift vouchers would suit a gamer, beauty addict, mum to be, sporty type and plenty more people of different tastes, personalities and interests. Variety and good value go hand in hand at Argos - so let another enjoy what it has to offer! 1. Present your unique eGift Card at the till point in your local Argos store as a print-out. 2. Find your local store here; www.argos.co.uk/stores 3. You can use the eGift Card as full or part payment, but please note only 3 eGift Cards can be used per transaction. 1. Present your unique eGift Card at the till point in your local Argos store on your device. 2. Find your local store here; www.argos.co.uk/stores 3. You can use the eGift Card as full or part payment, but please note only 3 eGift Cards can be used per transaction. Simply visit www.argos.co.uk and add your selected item(s) to the online basket. 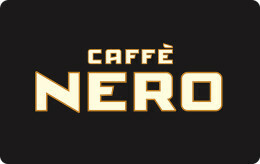 Proceed through to checkout, select your chosen method of delivery/collection then input your eGift and PIN as payment. You can use the eGift Card as full or part payment, but please note only 3 eGift Cards can be used per transaction.